An Interview with Daniel J. Rehal, President of Vision2 Voice, 2014 Better Business Bureau Integrity Award Winner, and Trustee of the Business Ethics Alliance.  By Katie Potter and M. John Steier, MBA Candidates at Creighton University’s Heider College of Business. Daniel Rehal is the founder and president of Vision2Voice, a biotechnology and pharmaceutical education company that brings deep, broad, and relevant medical educational experience to help pharmaceutical companies connect their message and their vision to their audiences. Vison2Voice is based in Omaha, Nebraska with an office in Chicagoland and additional team members in New Jersey. Daniel is originally from Sioux City, Iowa and earned his Bachelor of Science and Master of Business Administration degrees from the University of Iowa. Rehal has more than 17 years in the pharmaceutical sales industry holding positions in sales, training, marketing, and executive leadership. Dan started Vision2Voice in 2008 and is a 2014 Better Business Bureau Integrity Award Winner as well as a Business Alliance Trustee. What do ethics mean to you? What are the differences between an ethical dilemma and moral temptation? Daniel agrees that there is a difference between a moral temptation and an ethical dilemma. He states that “Morals are guided by how we are raised” and “you just know in your gut”. As mentioned later in this interview, Mr. Rehal strongly believes that morals are determined by how you were raised. “Ethics is where the buck stops.” Daniel explains that ethics are determined by ones’ morals, but are more than just internal beliefs. Ethics are “those rules” that do not need to be stated, but everyone is expected to follow. This involves being fair, honest, upfront, and sticking to your word. Do you see ethics in business and ethics in general the same thing? “I see ethics in business and ethics in general the same thing.” Daniel went into detail about how important it is that he teaches his two sons about being a sound moral person. He believes morality is taught by example and starts at a young age. He mentioned that ethics is fundamental in a personal and business situation. It is apparent that if you want to be an ethical leader, you need to master it in your everyday life in order to keep it top of mind in the day-to-day grind of business. “They need to be the same thing because it filters in with each other”, Rehal stated explaining that your personality and behavior carries over from your personal life to your professional career. “Vision2Voice is a small business that is service based with 4-6 clients at a time.” There was a project manager for a million dollar client was mistreating the Vision2Voice employees. “There were some problems with the audio/visual at the site we were at, and a note was passed to me.” Daniel went on to explain that the note crossed the line of professionalism. “We finished the project with this client, but we did not work with them in the future on any projects,” stated Daniel. “Every ethical dilemma is tough, and there is no true easy ethical situation.” Daniel went on to discuss the pricing structure within Vision2Voice. The pricing structure had changed; the pricing structure used to be project-based, but now there is a fee based structure where costs are passed through to clients at the exact same price and project management fees are charged separately. “Honesty in pricing is very important to us at Vision2Voice, and we strive to show transparency on our pricing with our customers,” Daniel explained. Do you have a formal ethics program and why? Do you have mentors for ethics? How has your formal business education improved your career and ethics? Daniel received his MBA from the University of Iowa. Reminiscing on the past, he explained how he remembers sitting in formal lectures and working on several group projects. Not only did Rehal state “principles in business are very important”, but he also went into depth about how he felt it was important to get his MBA and network with his classmates, professors, and surrounding companies.  Rehal stated that networking and working with his peers impacted his ethics. However, a majority of his ethics studies were mainly focused on reading Harvard Business Review articles and case studies. Most of these were case studies about companies that have been penalized for unsound ethical practices. Although it seemed to strengthen his priority on ethical business practices, it is apparent that it started at a very young age. Do you see a challenge for the younger generation and ethics? He brought up that “the ability to develop and maintain successful relationships” is as important as ever and we must not let this tempt us into unethical and unmoral behavior. Rehal added that a “personal device is something that is easy to hide behind.” He is elaborating on the fact that the ability to be anonymous tempts us to slip away from our morals and make unethical decisions. Daniel stressed the importance of building lasting relationships in the modern digital era. What are the five qualities on your website, and how are they implemented within Vision2Voice? There is no doubt that Daniel Rehal makes ethics a personal and professional priority. We must teach sound morals at a young age so they can transfer their experience into strong ethical principles in the future. Ethical dilemmas can come from every aspect of business and it must be top of mind at all times. It is not a competitive advantage, but an essential business function. Ethics is as fundamental as accounting, finance, or sales. To have an ethical business, Daniel states you need to “build a company to last on a foundation of values”. He brings up the fact that it is essential to build a positive culture in the workplace based on trust. “Vision2Voice is a company to assist our customers to improve the lives of their patients.” Rehal preached. “It’s not always about profit, it’s about improving patient care.” Daniel believes these statements to not only stress the importance of sound ethical practices in his industry of pharmaceutical education, but the importance of it in every business situation.